Northwest National Real Estate: Sale Pending! Subway Restaurant For Sale! Sale Pending! 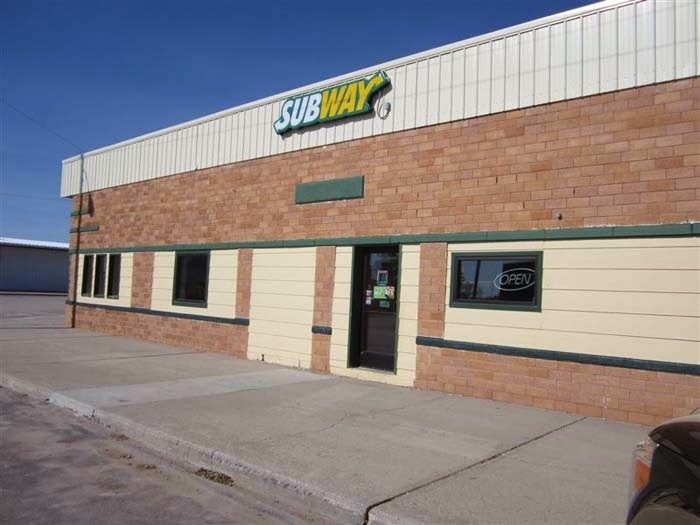 Subway Restaurant For Sale! Have you ever thought of owning a turn-key Subway Franchise Restaurant? The building was recently remodeled and all equipment was installed at that time. The restaurant is very pleasant with Main Street location in Martin, South Dakota, which is close to the Badlands and Black Hills. This is a great opportunity for an investor or someone who wants to be their own boss. The store has had good returns and the Subway Franchise is very good to work with. Don't miss this business opportunity to own a nice facility that has unlimited potential. Call Brad Otte Land & Livestock at 605-685-6716 for more details. $189,000.